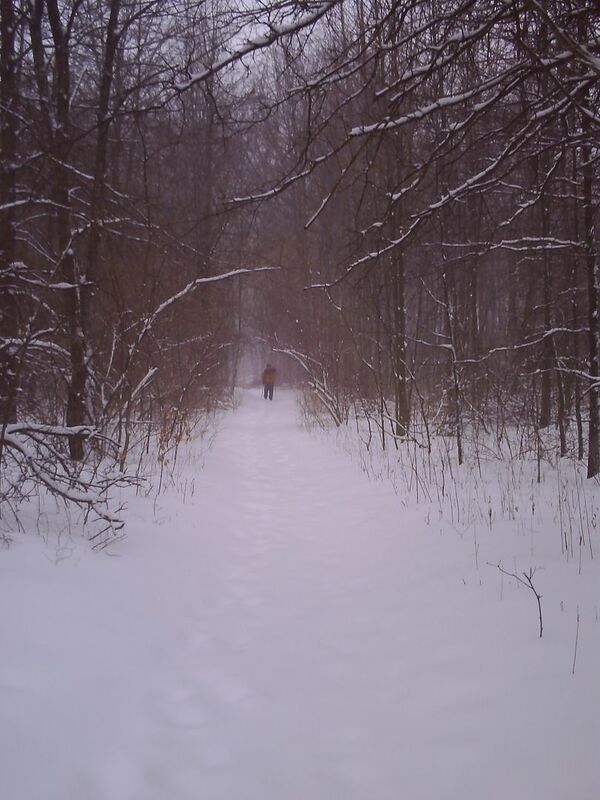 These pictures were taken 9 years ago while cross-country skiing in the woods behind the public library in our community. 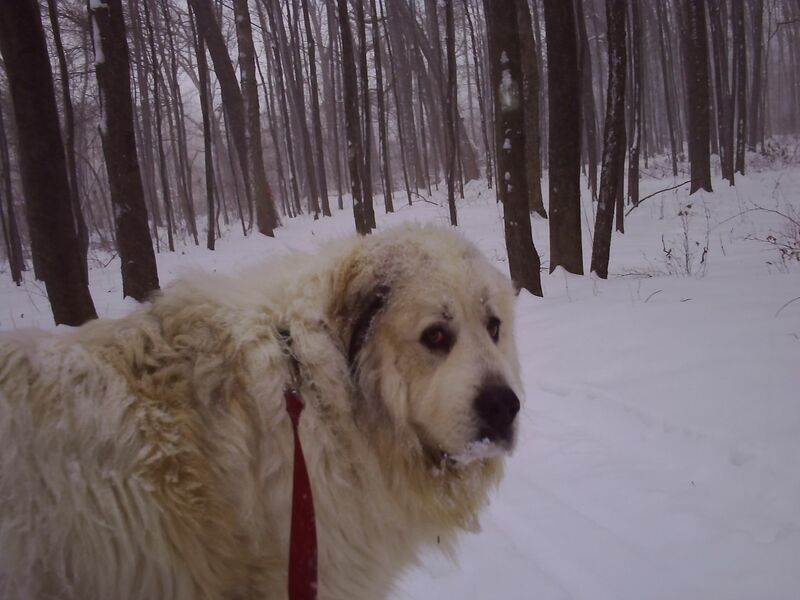 In the first picture above you will see Gourdon (my Great Pyrenees) with a patch of snow under his mouth - he loved to eat snow by scooping it up as he walked along (winter was his favorite season). The second picture shows my husband skiing at a good pace ahead, while I was quite a way behind skiing very slowly with Gourdie on a leash. Gourdon was not a "skijorning" type of dog breed - he would take his time sniffing everything on the side of the pathway. 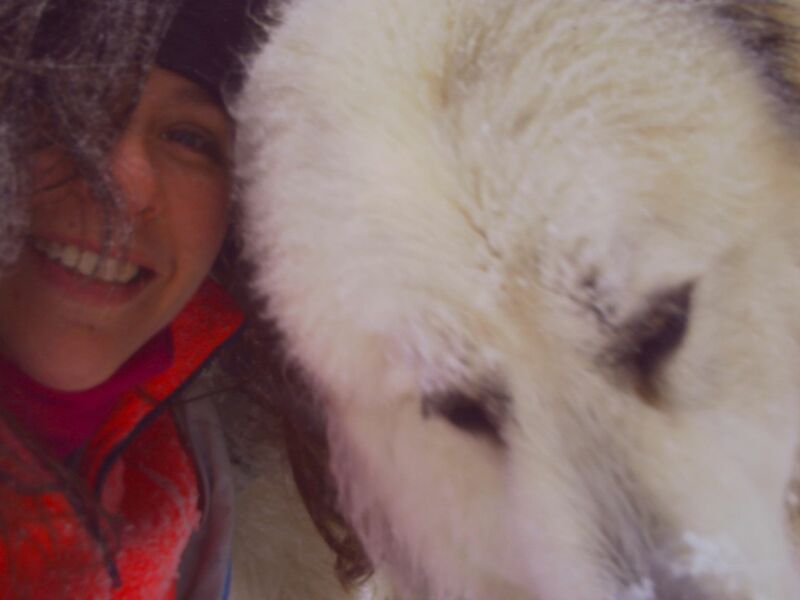 I didn't mind the slow pace because I was able to take a selfie with Gourdie (see third picture above).